Dr. Dreese provided very specific information about my condition and all of the possible treatments available. I did howeverhave a big issue with the scheduling dept. and I wish there were a place where I could review them. I had difficulty confirming my appointment and difficulty reaching someone by phone. I had to call 5 times before I got information and the ZocDoc appointment I scheduled online was not recorded in my Medstar profile so it looked as though I had never made it. Medstar needs to improve the methods of scheduling they offer and the lines of communication with the call center. The call center could not see the online appointment I made and had to get someone in the office involved to check on it. There were long hold times on the phone and I was disconnected 2x, requiring me to call back. I also did not receive a phone call prior to my appointment. Dr. Dreese provided very specific information about my condition and all of the possible treatments available. I did however have a big issue with the scheduling dept. and I wish therewere a place where I could review them. I had difficulty confirming my appointment and difficulty reaching someone by phone. I had to call 5 times before I got information and the ZocDoc appointment I scheduled online was not recorded in my Medstar profile so it looked as though I had never made it. Medstar needs to improve the methods of scheduling they offer and the lines of communication with the call center. The call center could not see the online appointment I made and had to get someone in the office involved to check on it. There were long hold times on the phone and I was disconnected 2x, requiring me to call back. I also did not receive a phone call prior to my appointment. The wait time was because of a system communication error between zocdoc and the hospital. However - the doctor was veryprofessional and courteous and isolated my exact shoulder injury. 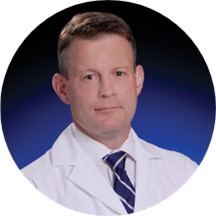 James Dreese is a concerned and interested orthopedic surgeon and sports medicine specialist serving the communities of Lutherville and Ellicott City, MD. Dr. Dreese attended medical school at Pennsylvania State University. He completed his residency at Hospital for Special Surgery and his internship at the University of North Carolina. He then finished his fellowship at the University of Pittsburgh Medical Center. Dr. Dreese is certified in orthopedic surgery and orthopedic sports medicine by the American Board of Orthopaedic Surgery and is affiliated with MedStar Union Memorial Hospital in Baltimore, MD. He is a physician at MedStar UMH Orthopaedics. Dr. Dreese is devoted to ensuring the longevity of his patients’ health and developing long-lasting relationships with them. He takes his time to understand symptoms and give correct diagnoses to ensure the continued health of all his patients. I was pleased with how quickly I had x-rays and was seen. Professional and knowledgeable. Definitely knows his stuff. The appointment was quick but he asked good questions, studied the X-rays, proposed alternative solutions and asked me what I wanted to do. The visit was productive and informative. He identified all parts of my sports injury and answered all my questions regarding pre-surgery and post surgery rehab. Dr. Dreese was very professional and helpful! I would trust him with my family which is high praise. Other than the wait to be seen, I was very pleased. The doctor never made me feel rushed and I'm sure would have answered any question posed fully until I completely understood it. I was quite impressed by the entire staff. Too long a wait this time. Dr Dreese explained everything, took additional X-rays and made a plan for treatment. I would recommend him to any of my family and friends. Everything with the professional care was excellent. Some difficulty locating the office inside the shopping center. Front desk person was coughing and obviously was not well, leaving some concern for contagiousness. He was kind, thorough with the exam, and explained his findings and plans to get me well again. I really liked him a lot.